This journey includes an ocean of adventures in the surrounding seas. This tour is for anyone in love with the Greenlandic wonders, from the peaky mountain tins to the remote and distant settlements. Your adventures starts when you depart Nanortalik Habour, as you travel along the raw, naked and steep mountain sides. Sit in the heated salon with a panorama view of the Greenlandic seas or stand on deck, while the arctic winds long to play with your hair. You will be travelling in the company of migrating icebergs and passing humpback whales. First stop of the journey will be the settlement Narsarmijit. On a small peninsula, lies the small village distant and remote, far from modern civilisation, only surrounded by endless miles of arctic tundra. You will be given a rare and unique insight to the daily lives of the Greenlandic people outside of the larger towns. The settlement was established in 1824 as a missionary station for the Hernhuts and has ever since been the second most southern settlement in all of Greenland. Today the town is inhabited by approximately 90 people and is located 50 kilometres from Kap Farvel. After half an hour of exploring in Narsarmijit, you set course towards Torsukatta. In Torsukatta you and your fellow explorers will go a shore, to enjoy the mesmerizing fjord system. Take the chance to capture the peaky mountain tins, through the lens of your camera! 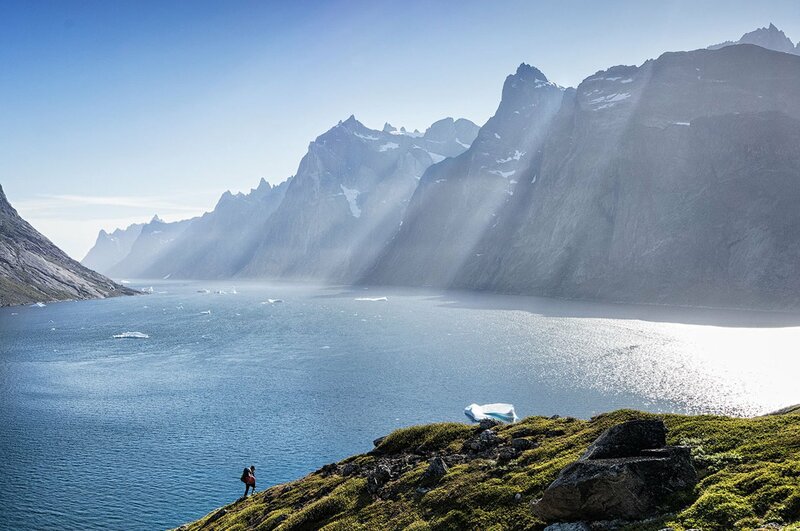 Now that you have explored Torsukatta Fjord, you will venture to the village of Aapilattoq. Final stop of the day is Aappilattoq. You are given the chance to explore Greenland most southern village, so explore every hidden corner and befriend local to hear about the life in Aapilattoq. Aapilattoq was established in the early colonial period and has since endure adversity and prosperity with the migration to larger towns. Do you have any questions about our Torsukattak Fjord Tour?